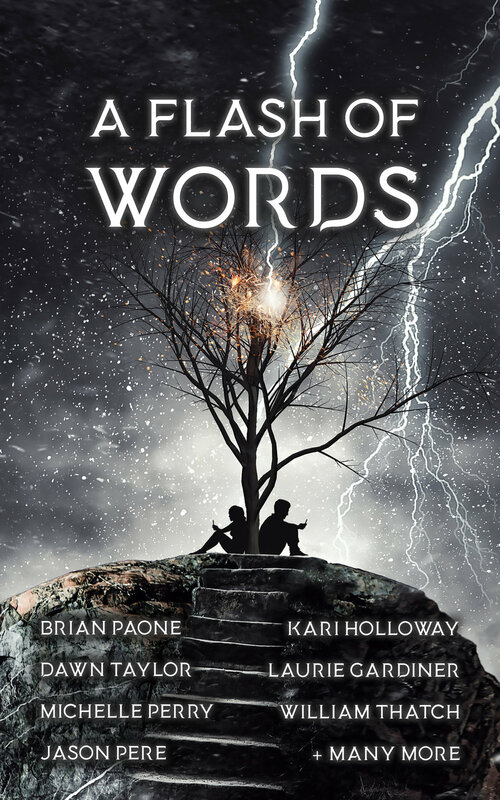 From Scout Media comes A Flash of Words—the fifth volume in an ongoing short story anthology series featuring authors from all over the world, but the first in which the stories are exclusively flash-fiction pieces. In this installation, no limits were set on genre, allowing the authors to lead the reader to destinations unknown; from ghosts on a flight line, to not-so-cuddly poodles, to finding love in the most unexpected of places. Within these moments of retribution and redemption—along with a slightly confused bear—these flash-fiction length stories will warm your heart, send shivers down your spine, and tickle your funny bone. Whether to be enlightened, entertained, or momentarily immersed in another world, these selections convey the true spirit of flash fiction.